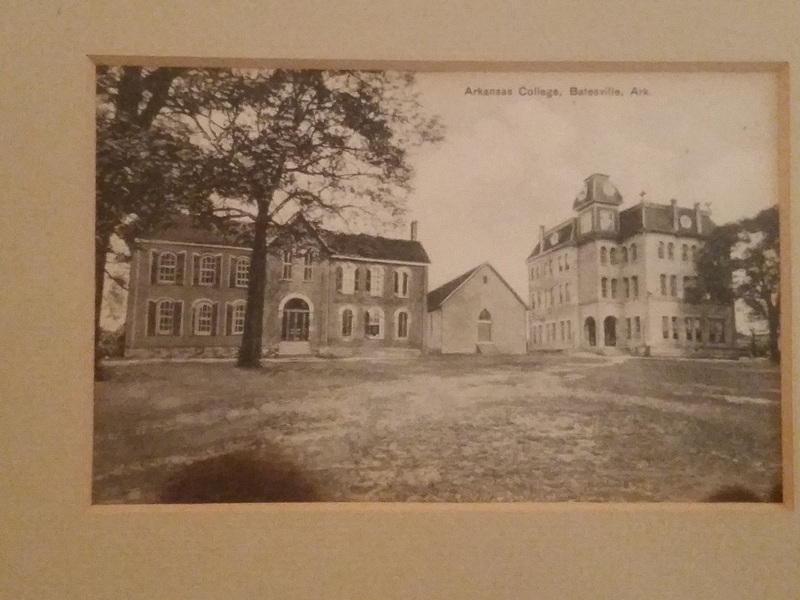 The original Arkansas College. The College originally started as an academy for children under the direction of the Church Session in 1853. A high school was later added in 1871, and by 1872 a college was added. 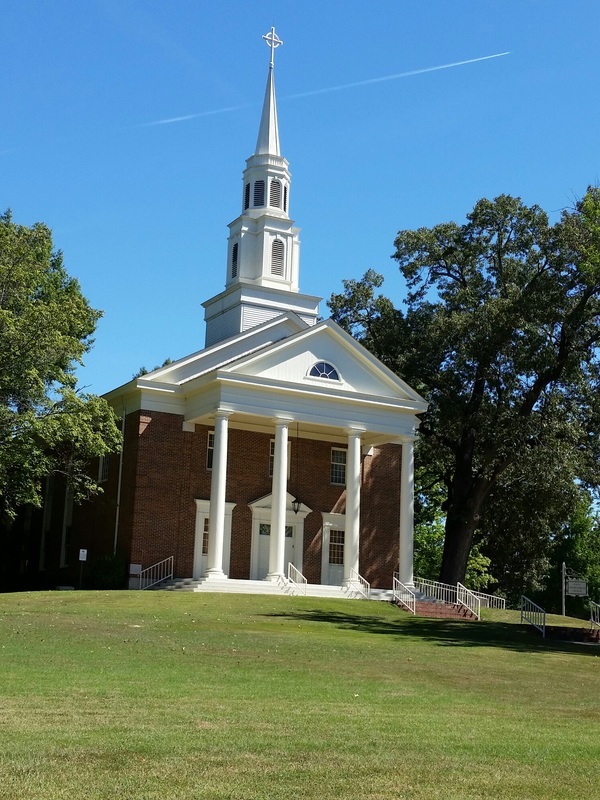 The building on the left was the music hall for Arkansas College and was named Morrow Hall in honor of the Morrow family for their many services to the church. The building has been restored and houses classrooms and a parlor. 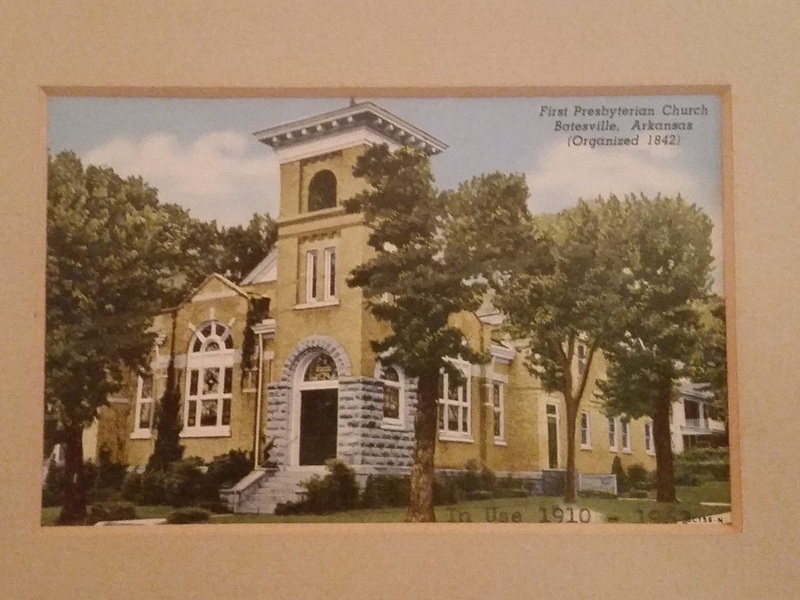 Built in 1910-11 the new church building was located at the corner of what is now Seventh and College. It is said that the interior of the church was very sparse, save for the stained glass windows, which were "beautiful". After the current church was built, 60 years later, the stained glass windows were sold to members or others who wanted them. 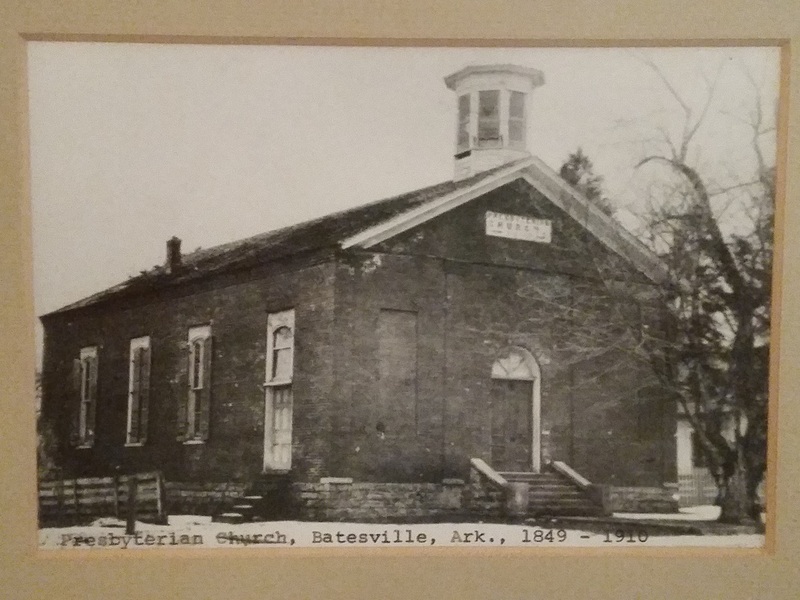 *The history of First Presbyterian Church is taken from the book "A Rich and Lasting Blessing A 150 Year History of the First Presbyterian Church of Batesville, Arkansas" by Virginia Fitzhugh Jeffery and Lucy Jeffery Yeager. The book is available at the church.